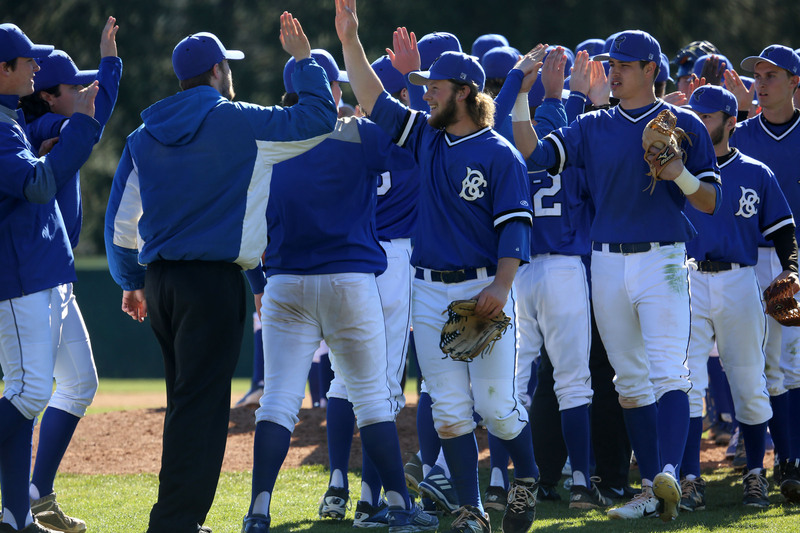 After falling 2-0 in seven innings in the first game of the double-header, Brevard beat William Peace 5-4 on a walk-off hit from freshman outfielder Jadon Wooten in the bottom of the 9th. Brevard earned their first win of the season, and the loss dropped William Peace to 3-2. The game entered the bottom of the 9th inning tied at 4, as Dayne Homesly and Tanner Revis were able to record base hits with two outs. In his only hit of the game, Wooten delivered a base hit into shallow center field that was just out of the reach of the center fielder, which brought home Homesly from second base for the game-winning run. On the offensive side of the plate, Joseph Nelms had a perfect outing, hitting 4-for-4 and recorded two RBI’s, one of which came in the bottom of the 8th inning to make the score 4-4 following his single to left field to bring home Christian Ezzell. Tyler Timms earned the win as the right-hander pitched 6.2 innings and threw five strikeouts in relief of Kross Robinson. Brevard was able to jump out to an early 3-0 lead in the 1st inning, as Roon doubled into center field to bring home Ezzell for the game’s first run. Nelms immediately followed that double with a base hit of his own to bring Roon back home. The third run was scored after Nelms stole second base, and a throwing error from catcher Nick Tilley sailed over third baseman Alec Allred’s head to bring Nelms home to make the score 3-0. William Peace scored their first run of the game in the top of the 3rd inning, as Christian Dix notched a double to score Easton Payton from second base. On the next at-bat, Michael Sterne blasted a two-run home run over the left field wall to tie the game at 3. After four scoreless innings, Nathan Holt helped the Pacers take the lead 4-3 as he hit a sacrifice fly to center field to bring home Sterne. Game three of the series will take place tomorrow at Gil Coan Field at 11 a.m.